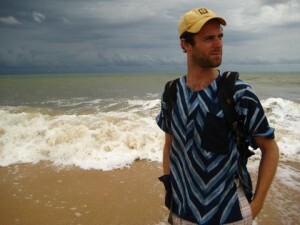 Stephen Wood is a PhD student in the Department of Ecology, Evolution, and Environmental Biology at Columbia University. He is a member of the Naeem Lab and is co-advised by Cheryl Palm in the AgCenter. Broadly, he is interested in how changes in the structure of biological communities affect the functioning of ecosystems and the benefits that people are able to derive from them. His research is aimed at understanding how agricultural intensification in the Millennium Villages is impacting the composition of soil microbial communities and the resulting effects on nutrient cycling and soil organic matter. Bradford M.A., Wood S.A., Maestre F.T., Reynolds J.F., and Warren R.J. 2012. Contingency in ecosystem but not plant community response to multiple global change factors. New Phytologist 196: 2. Covey K.R., Wood S.A., Warren II, R.J., Lee X., and Bradford M. 2012. Elevated methane concentrations in trees of an upland forest. Geophysical Research Letters 39.